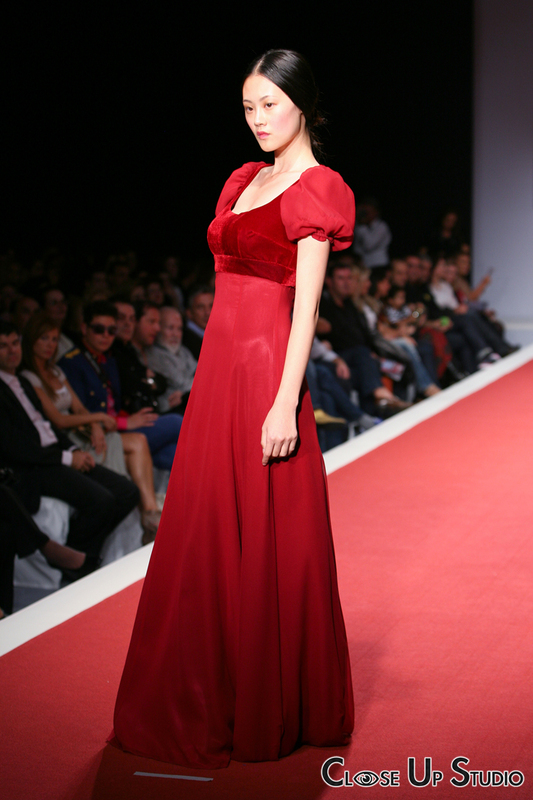 Miltos started his own studio 20 years ago, while studying fashion at Veloudakis Fashion School. His collections have the elegance and glamour of past eras. High quality materials combined with classic and feminine styles, with a touch of reminiscence of the old days! 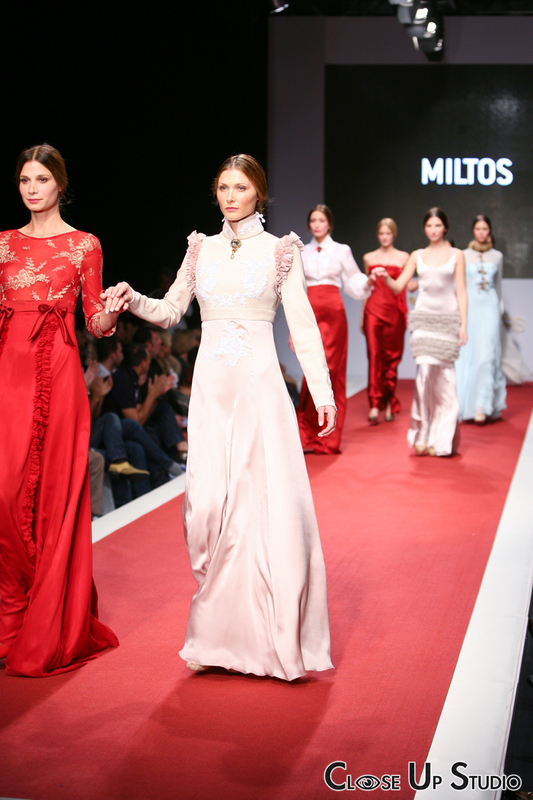 There’s always something a bit theatrical about Miltos’ collections. Or in this case cinematic, since the concept behind this collection was Jane Austen’s novels (if you’ve read the books or seen the movies “Sense and sensibility”, ‘Emma”, etc you will understand the connection). I’m a big fan of Jane Austen and period films, so I was intrigued by this collection. I loved the luxurious fabrics and the shapes of the maxi skirts and dresses. I could see myself in the maxi red skirt with the sheer white button down shirt, or in one of those beautiful maxi dresses for a special and glamorous occasion. And I’m sure these pieces will remain timeless! 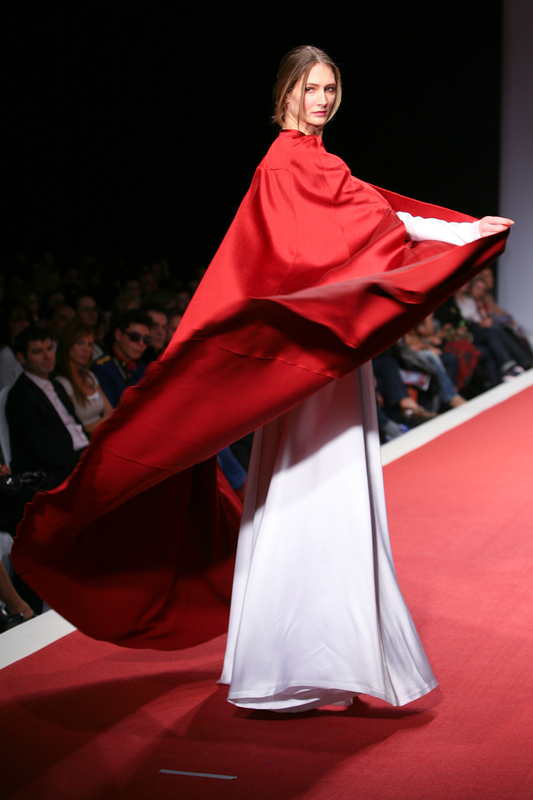 Stay tuned for more posts about the first day of the 10th Athens Xclusive Designers Week!